The MusucBag looks kind of ridiculous but believe us when we say it actually serves a practical purpose. The strange-but-useful combination puts it in the same category as the Slanket we marvelled at here a while ago. 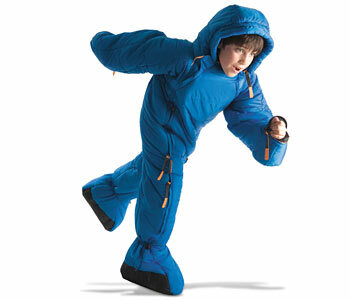 Essentially the MusucBag is a quilted sleeping bag with feet. 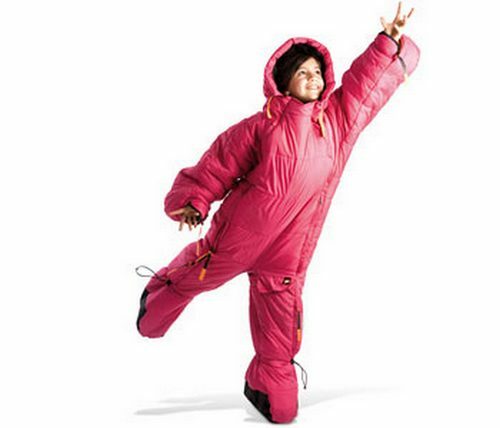 No more getting twisted in the inner liner of the sleeping bag plus you’ll stay warm when you dash to the loo in the middle of the night on your next camping trip. Aside from that, the MusucBag makes a fairly good astronaut dress-up. Curiously, the sleeping bag has a pocket just below the neck for an MP3 player or mobile phone – perhaps this is for your tent time ‘muzak’? If you fancy one for yourself, you’ll be pleased to know they also come in adult sizes. They are available from I Want One of Those and cost £64.99 but cannot be shipped directly to Australia so a UK freight forwarder is required.